Our professional and industry certifications illustrate our commitment to the highest standards of quality and best practices in Strategic Project and Program Management. LAMAC® executives are members of the Institute for Mergers, Acquisitions and Alliances (IMAA). All of our M&A teams include a certified M&A integration and/or post integration specialist such as the IMAA ‘s CPMI- Certified Post Merger Integration Professional or the CM&AI-Certified M&A Integration Professional. In addition, our Executive Level Coaches have practiced Project Management and managed Project Management teams for over a decade. 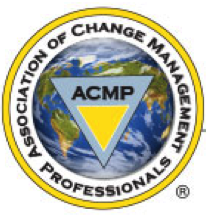 LAMAC® is a member of the Association for Change Management Professionals. Our team has received change management training or certifications including: Prosci® ADKAR® Change Management Certification, Prosci® Enterprise Change Management Training (ECM), the ACMP Certified Change Management Professional™ (CCMP™) or Change Management Professional Certification (CMP).